in Utah for over 30 years. We install a variety of fence products from wood to Trex and even wrought iron. Choose someone to build your fence that not only uses the right materials but also has years of experience. Choose a deck builder that has years of experience that will design and build your deck using only the best materials. Create a place for you to have fun, relax and spend time with family and friends. Let us help cool things off by installing a custom made shade structure in your back yard. Pergolas give you a sense of a private space without eliminating light and air. Why choose CFC Fences & Decks? 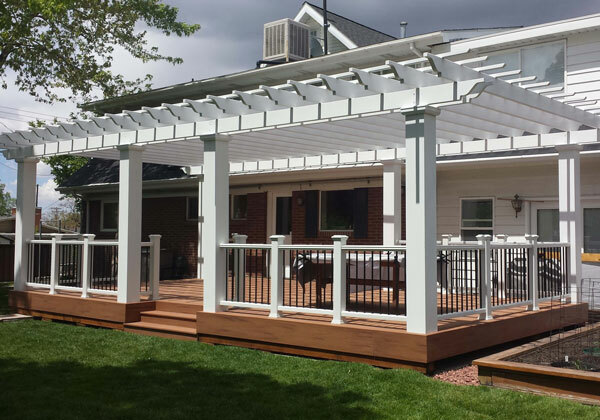 CFC Fences & Decks has been licensed with the state of Utah for over 30 years. 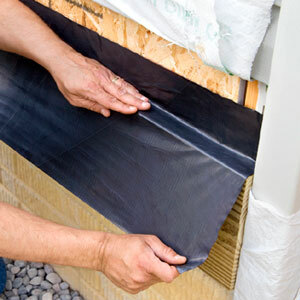 We’re also bonded and insured to protect our customers and their jobs. Ask about our credentials, we’d be happy to share. Check out our reviews on line and see how people feel about us. It is important to us that you have a good experience and that your project is installed the way that you want it. We only use the best materials because we believe in doing a job once, and doing it right. With years of experience working in Utah, we know what products will hold up to our harsh conditions and weather. CFC Fences & Decks began in 1989. 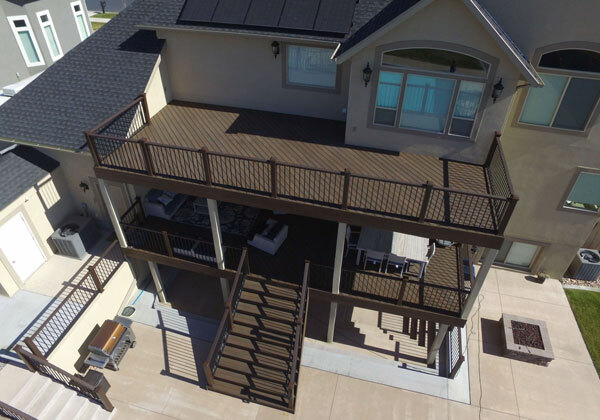 With over 30 years of experience and thousands of fences, decks and pergolas built throughout Utah, we will build your project so that it will give you years of service. Whether you are looking for a deck contractor or a fence contractor, CFC is your choice. We have crews that are trained and specialize in fence and deck construction. Get to know us, ask us questions, and work with us to design your project. We’re confident that we can give you the best offer. 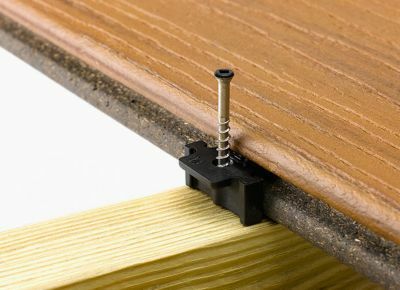 DeckWrap is a tape placed the floor joists that self-seals around screws to prevent water pooling in the holes and weakening the surrounding lumber. Excellent work. The crew was friendly, made a point to show us why they were doing certain things, and were responsive on a few last minute changes. We just finished with CFC Fences & Decks to have them install a Trex fence in our backyard. We were pleased with their work and they completed it on schedule. We would highly recommend CFC Fences & Decks to anyone looking to have a new deck installed. Our new deck is beautiful. What a wonderful experience!